Norbar offer a range of metric and imperial open end, ring end, flare end, ratchet and blank end fittings in a variety of sizes to fit 16 and 22mm spigot Torque handles. Norbar End fittings are forged from alloy steel and designed to be easily interchangeable with any number of our 16mm or 22 mm diameter spigot ended torque handles. Contact our knowledgeable sales team for information regarding sizes not listed. 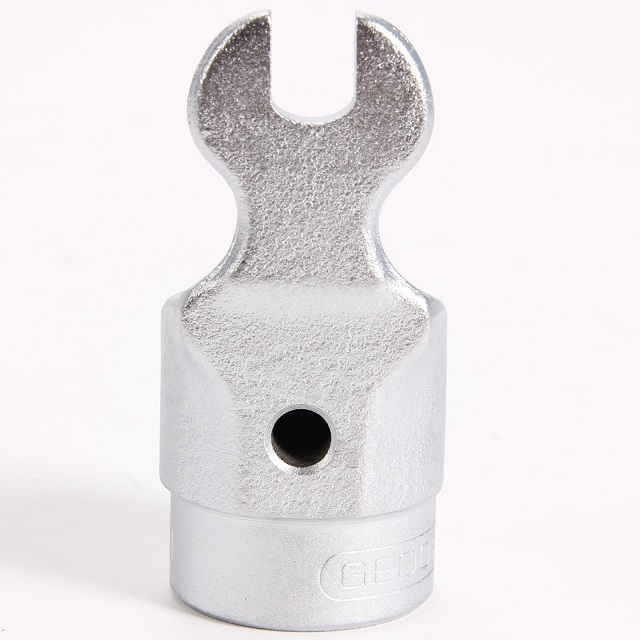 Blank end fittings are available for applications where custom built spanners are required to achieve desired outcome. * OPEN ENDS IMPERIAL Fittings also available. * RING ENDS IMPERIAL Fittings also available. * LARGE SPANNER END FITTINGS FOR NORBAR 16mm TORQUE HANDLES UP TO 300 Nm ALSO AVAILABLE. CONTACT A SALES REPRESENTATIVE TODAY.